Wanna learn the process that has been saving my life? Keep scrolling.. I am about to share it with you for free because I believe inner peace is the key to world peace & the more of us that transform the closer we will be. As you probably can tell from the photo, yes- I just returned from Burning Man. After 11 days inside the desert portal I met someone really special. Someone I have been waiting to meet for my whole life: my higher self. Not just a glimpse, not just a taste- but the real deal, in this body. How did I get here? Firstly, I have to say I am not done nor am I perfect. Now back home the real work begins, to anchor in all that I became while dancing myself home in the dust and repair lifetimes of scar tissue caused by abandoning myself again and again due to the societally engrained belief that I am incomplete. Years/ lifetimes I spent seeking externally- wrapped in the safety of a lover, inside the status of a name brand corporation, adventuring/ escaping across the globe, all the while numbing the void with food and substances.. Now after spending the last 10 years learning to love myself and consciously reversing the pathway from seeking outside to resting within, I finally am beginning to feel whole. Below I share with you the steps of how I do it, a summary of years of studies condensed into 5 steps.. I was always searching for the specfic pathway of how to be happy, the intersection between science and spirit, and I could never find it. So I discovered it inside the truth point of where the worlds ancient and modern transformational modalities align on the topic of transformation. 1) Be aware of the lower aspects of yourself surfacing- ex. triggers, negative beliefs, dense emotions. 2) Take full responsibility for it as an old version of yourself ready to be transcended, accept that it is showing you the exact spot in which you are still fragmented and where and how you get to fill yourself with your own love. 3) Go to the root- Pinpoint the core of this surfaced symptom, the origin point. Ex. A reaction of jealousy being caused by a root fear of abandonment, caused by abandoning the Self and then projecting the fear onto another. 4) Neutralize it by bringing in your own love in the exact way you are being shown you need it. Ex. No longer abandoning yourself, instead reclaiming yourself with my own love and presence. 5) Pour in this specific recipe of love directly to the origin point until the symptom is gone. Then shift into the version of yourself that is free from this lower aspect and is now whole in this area. Feel free to comment with your questions, I love answering them. So much so that I am starting a virtual family to hold each other through the transformational process because having a community was my tipping point.. receiving regular guidance from those farther ahead, unconditional love when I am at rock bottom contemplating my existence (still happens), accountability holding me to who I am becoming, and the reminder that I am not going crazy- I’m just waking up. 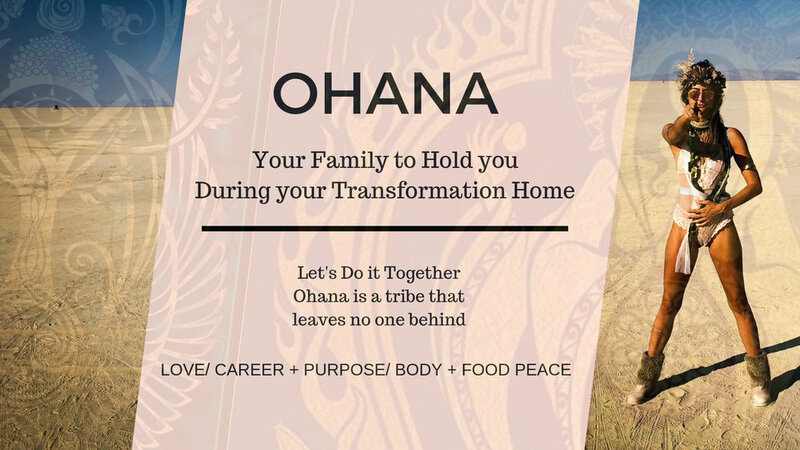 I know not every city out there has these communities established, and like I said, it has been/ still is paramount to my evolution, so I will be proving one virtually :) For more on this program, click here. Oh yeah and... You've. So. Got. This.